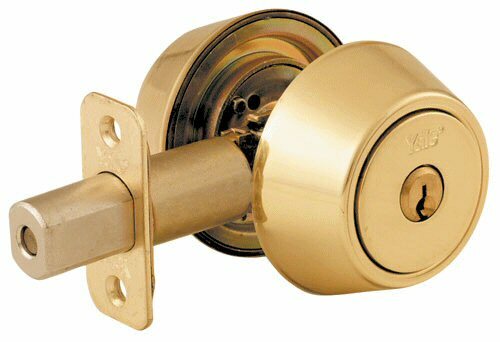 Quality single-cylinder deadbolts at great BargainLocks prices! Secure all standard doors 1-3/8" to 1-3/4". Backset latch is adjustable from 2-3/8" to 2-3/4". Polished brass finish, brass keyway and two keys. Includes 1" x 2-1/4" square-corner faceplate and strike.